corresponding period of last year. Its net sales increased by 27.1 per cent to Rs. 301.17 crore from Rs. 236.92 crore. Its pharmaceutical sales increased by 22.4 per cent to Rs. 230.22 crore from Rs.188.15 crore and that of chemicals increased by 45.4 per cent to Rs. 70.95 crore from Rs. 48.78 crore. EPS improved to Rs. 13.68 from Rs. 8.93 in the last period. Procter & Gamble Overseas India BV together with the Procter & Gamble Company (P&G Group) set to acquire 85.99 lakh equity shares of Rs. 10 each of Merck Ltd representing 51.80 per cent of the voting share capital for an aggregate purchase price consideration of up to Rs. 1,289.88 crore. The acquirer is set to acquire 4,315,840 equity shares of Rs. 10 each constituting 26 per cent of the total outstanding capital of Merck Ltd (India) through open offer for a price of Rs. 1,500.36 each (Rs. 647.53 crore). 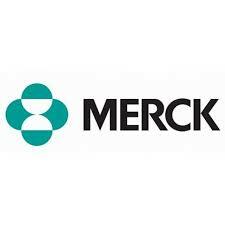 Merck share improved by Rs. 205 and closed at Rs.2,111.05 today on BSE, after touching at yearly peak level at Rs. 2,160.